Create the most compelling environments you’ve ever seen. Provide your clients with winning sales arguments. Explore architectural spaces in full-featured 3D models. 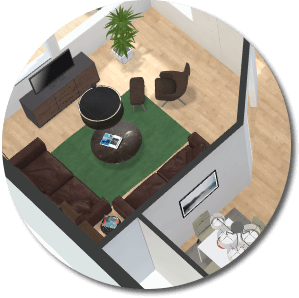 Rendered 3D models allows viewers to become fully immersed as if they are physically in the space. Imagine drawn lines becoming living environments. Help your clients dive into places they have never been to or that do not yet exist. 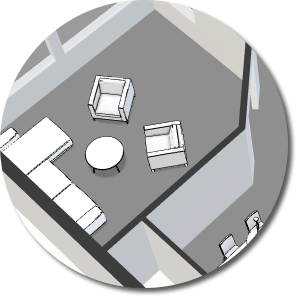 View your spaces from above, or rotate it on an angle before ‘stepping’ into the model and virtually walking-through the model. Once a secure payment is received we’ll start to process your 3D model. Premium 3D floor plan models Furniture and floor coverings with full high quality baked textures.